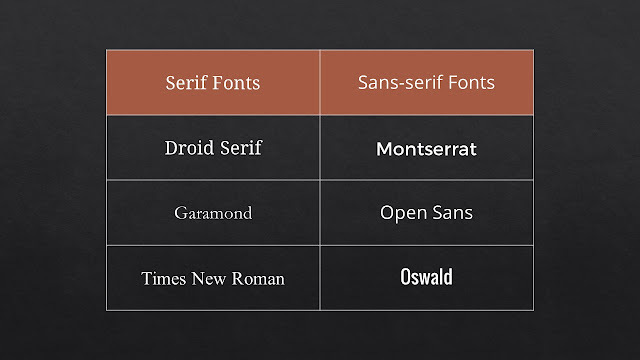 Which font is best for your presentation? Which background color is ideal? How to write text over an image? In this post, you will get all these tips and a few more. Fonts have a character of their own and the choice of font depends on the message you want to convey. For presentations which are projected in a boardroom or a conference room or even on a laptop, choose sans-serif fonts. For presentations which are read as a printout, choose serif fonts. Serif fonts are easier to read when printed. Each font has a different feeling attached to it. For formal occasions, avoid using casual looking fonts just because you would like to jazz up your presentation. Fonts, like costumes, are meant for certain occasions. Keep a few fonts in your tool box, some formal and some casual. Avoid using more than 2 fonts in one presentation. Garr Reynolds is a proponent of using large images which bleed off the edges. Basically, he encourages us to use images which cover the entire slide. Once you start doing that, whatever text you write will end up over the image. This might cause a few problems for your audience. Enough contrast is required to read the words properly. In the following 3 slides, you can see this in action. The first slide is the one you might be using at present. The second and third slides are more legible and look better too. Notice that in the second slide, we have simply added a white rectangle behind the text and made it translucent. In the third slide, we add a gray 'text fill' in the text box. 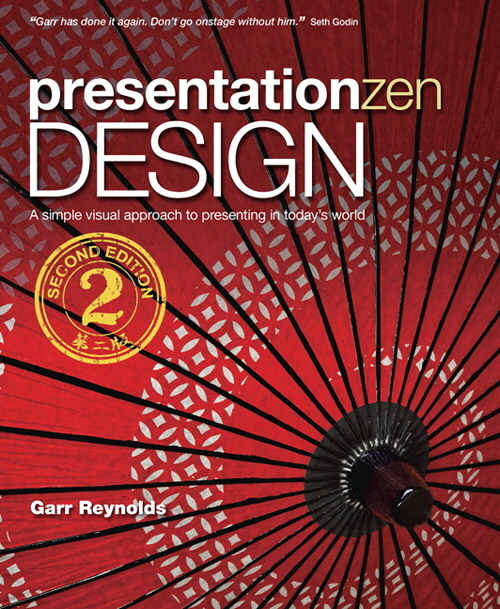 Slide background has a significant impact on how good your presentation looks. You can choose a light color like white or a dark color like black. If you are presenting in a boardroom stick to light background. That's because your boardroom is well-lit. It has lots of ambient light. When you are presenting in darker venues like a conference, use a dark color background. The logic is simple. In a dark room, white background will emit a lot of light and will hurt the audience visually. In a well-lit boardroom, this will not happen. If you use a black background in a boardroom, the slides will get subdued. Images and photographs are not something that we add later. They are not added for mere beautification. Make images a part of your message and storytelling. The words you use on the slide and the image that goes along with it depends on the message you want to convey and the way you want the audience to feel. Here are 3 slides which will take you from what most people do right now to what very few good presenters do often. Show the crux of the data on your slide and provide the complete data as a handout to your audience. They have come to listen to the 'music', not to read the 'notes'. Empty space, also called negative space, is the space on your slide which is vacant. The tendency with novice presenters is to fill every inch of space with some content. Put some words there, or put an image here. What they fail to realize is that empty space is good for design. The more the empty space, the more powerful the stuff on your slide becomes. Notice how the empty space in the next example, removes the visual clutter and allows the main message to come across better.